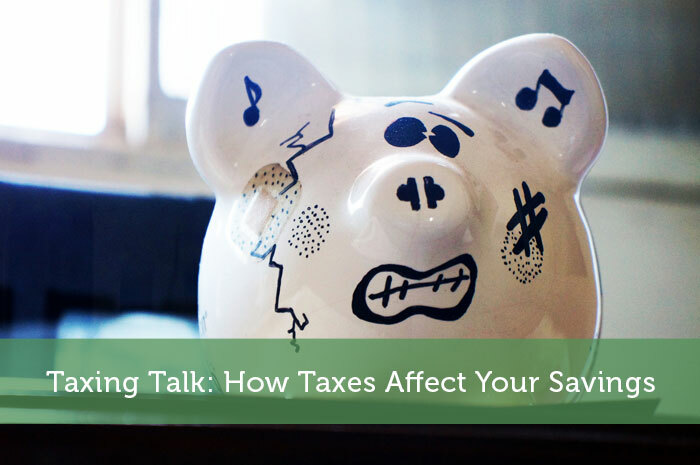 The following is a guest post about how taxes affect your savings. If interested in submitting a guest post, please read my guest post policy and then contact me. Whether you’re trying to save the money to buy a new car, put down a deposit on a house or spend a year abroad, it’s important to put a little away each and every month but something can get in the way – taxes! The majority of individuals in this day and age pay a certain amount of tax. This is usually calculated against your existing salaries and will be deducted automatically from your payslip. However, if you’re self-employed, you’ll have to deduct this tax in your own time, which is where a tax calculator often comes in handy. Unfortunately tax is applied to a lot more than just our earnings and it also applies to the interest and income you gain from a savings account. In the existing climate, it’s wise to make the most of tax-free saving allowances, especially as saving rates are failing to keep up with inflation. It’s important to learn the differences between an ordinary savings account and a cash ISA. Any money that you place into your standard account is usually taxed at a rate of 20% whereas an ISA is completely tax-free – although you’re restricted on how much you can invest. If you wish to learn a little more about the ins and outs of savings accounts, you can source a range of savings advice online. If you already have a savings account in place, you may wish to learn if it is working as hard as it should be. If you’re looking for ways in which to boost your income even further, it may be wise to invest in a stocks and shares ISA. Once again, this particular account is tax-free up to a certain amount and allows you to deposit a lot more than that of a standard cash ISA. The government boasts a number of schemes which offer tax relief when it comes to various types of investment. One of the most renowned comes in the shape of the Enterprise Investment Scheme (EIS) which offers a tax relief of up to 30 %. This reduction involves shares and stocks and only occurs when you buy into a sanctioned unquoted company; more often than not, a start-up business. The total investment amount is capped at £1 million so in effect this could cut your tax bill by a massive £300,000. For investors with moderate to significant income, maxing out contributions to their ISA is one of the best ways to not only cut taxes, but also save for the future. That approach does help with limiting taxes today, but then the taxes are just deferred. Taxes get especially depressing when you work for yourself. Seeing all that money come off income you earned all on your own is certainly discouraging. Good to know that there are options to minimize the tax burden. There should be incentives for those who make efforts to save money.